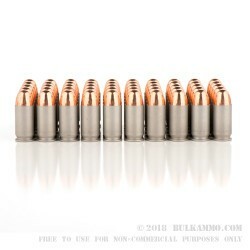 Choosing the right caliber to build a solid foundation of shooting fundamentals over years and years can often be compared to buying a house, it has the potential to be a huge investment! 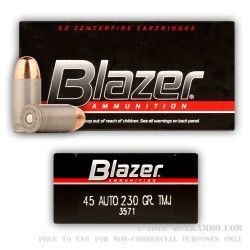 With the Blazer 230 grain .45 ACP full metal jacket, that cost no longer needs to be inflated by being overcharged for quality ammunition. 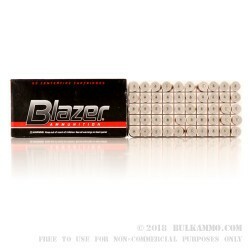 The Blazer 230 gr. 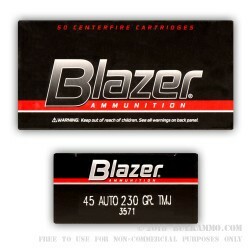 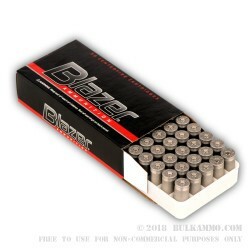 45 ACP Full Metal Jacket offer you all the benefits that you have come to expect from a quality range ammunition, at a price that can only be achieved through Blazer’s 1,000 round offerings. 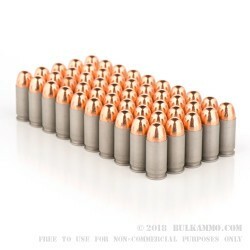 The fully metal jacketed 230 gr. 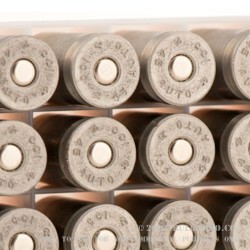 bullets are ideal for shooting at indoor ranges, as the round’s copper jacket seals and helps to prevent lead particles from becoming airborne and contaminating the air. 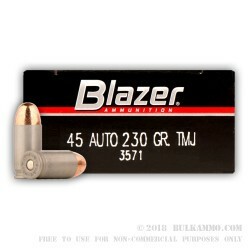 Capable of accurately engaging silhouettes out to 30 yards and beyond, the Blazer 230gr .45 ACP Full Metal Jacket has virtually limitless potential on the range. 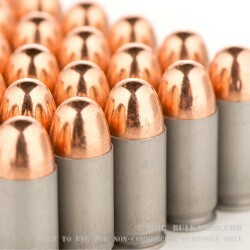 The only limits are your imagination. 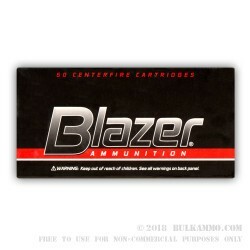 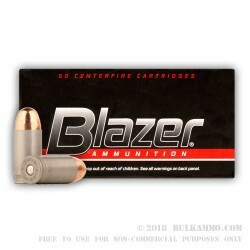 Law enforcement and recreational shooters looking for an affordable solution to meet their competitive training needs will be hard pressed to find a more economical round than The Blazer 230gr .45 ACP Full Metal Jacket.